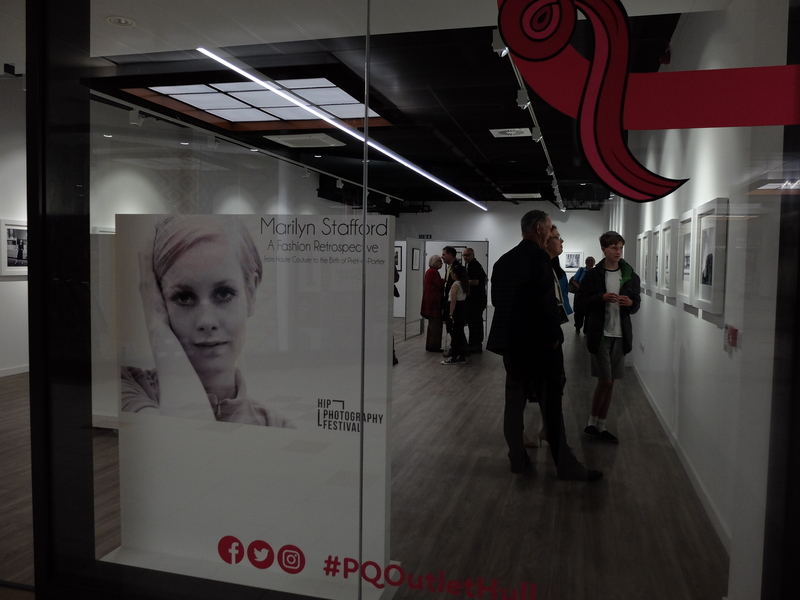 The UK’s biggest annual photography festival is on in Hull this month 5th to 28th, with a world premiere exhibition from legendary fashion photographer, Marilyn Stafford (as featured on ITN this week) and collections from Brian Griffin, Peter Dench and Celine Marchbank. Condiments on the table at Little Chef. Doncaster, South Yorkshire. Now in its fifth year, Hull International Photography (HIP) Festival is hosted by The Creative and Cultural Company within the city’s largest shopping centre, running until Saturday 28th October. With 12 major exhibitions showcased in converted gallery spaces supported by East Street Arts, the unique venue attracted a massive 86,000 visitors in 2017. 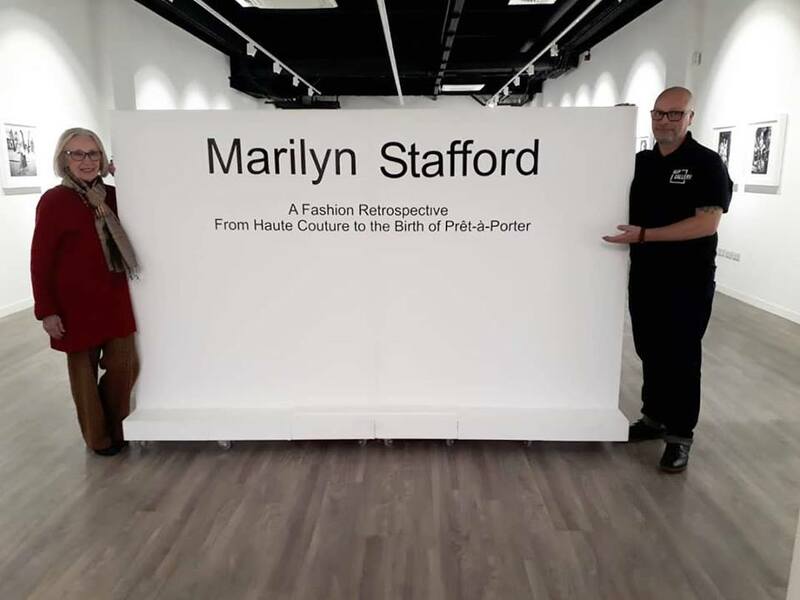 The festival boasts the world premiere exhibition of fashion portraits by 93 year old #MarilynStafford , A Fashion Retrospective – Haute Couture to the Birth of Prêt-à-Porter. 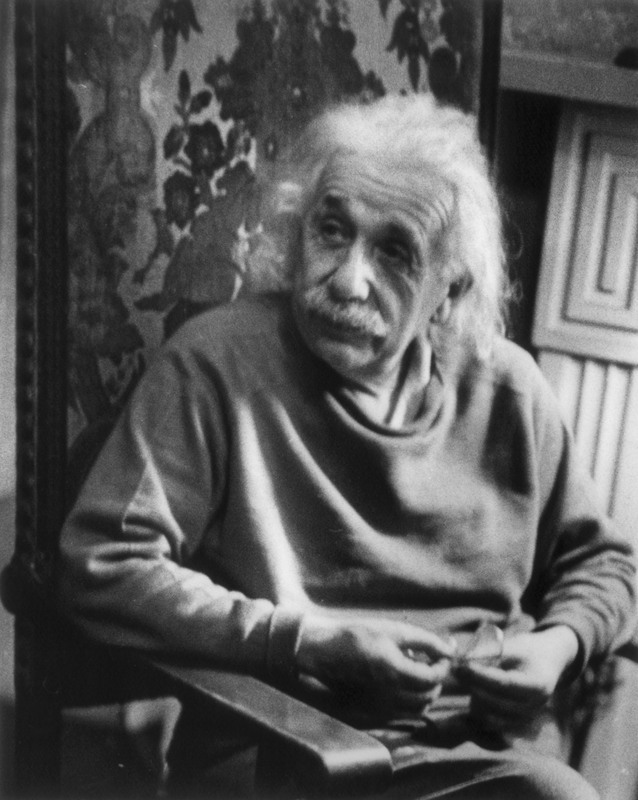 Having famously photographed Albert Einstein with her first shot on a 35mm camera, Stafford’s career has since spanned 70 years, with many major fashion brands, including Biba and Chanel, as well as for international publications like the Observer. 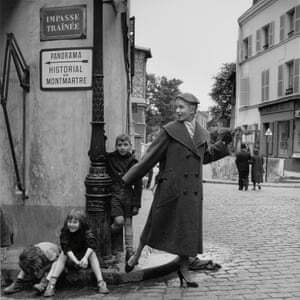 The exhibition covers her career in Paris in the 1950s and Britain during the 1960s and 70s. Marilyn attended the opening of the exhibition and visitors had the opportunity to hear her discussing her incredible work with me on 6th October in the HIP Fest Knowledge Space. An event that was very well attended and inspiring to all. Festival-goers are also able to experience POP from Brian Griffin, featuring his music photography and album covers from the UK’s pop-punk and new wave music scene as well as A1: Britain on the Verge from World Press award-winning, Peter Dench. A homage to the UK’s longest road, Dench visited truck stops, cafes, temples, homes, businesses and bars exploring a period of immense change for Britain, all captured with his typical sense of humour and humanity ahead of Brexit. Another highlight of the festival is the premiere of A Strange in My Mother’s Kitchen. An intense and personal exhibition from Celine Marchbank. As Marchbank packed up her mother’s home, who had recently lost her battle with cancer – she found recipe cards. As a way of dealing with her grief, she began to cook. The exhibition is a journey through her memories, her mother’s life and the process of learning about living life as a daughter without a mother. Festival partners, Fujiholics and Redeye joined in by facilitating masterclasses and photo-walks on the opening weekend. Enabling the festival to offer over 50 events this month – including a masterclass by YouTube sensation, Sean Tucker and talks from Elke Vogelsang from Germany & British legend Tom Stoddart. PhotoCity also landed in the festival atrium as part of the opening weekend, following on from the phenomenal PhotoCity London exhibition and trade show in Paternoster Square, close to St Paul’s Cathedral in 2017. This year brought the likes of Fujifilm & Lee Filters to show their latest tech. PhotoCity’s iconic Blade Walls showed work by #SeanTucker #TomSdoddart #MattHart #NatashaJBella #ClaireArmitage #MattWalkley #WarrenMiller #TraceyLund #RobertBentley #DavidNeve #AmiStrachan #NinaEmett #DavidYeoman #ElkeVogelsang #LindaWisdom #KeithBritton #LeeGlasgow #MarkLittlejohn #MichellSzpak #NigelWalker #VerityMulligan #GeorgeNorris #LeeGale #RichWiles #SteveCheetham #SteveWalton #KeithBritton and more. A £5 entry ticket (wristband) gives access to all exhibitions, discussions, the HIPfest Prize Draw, onsite discounts and access to the workshops. Premiere workshops, masterclasses and portfolio reviews required individual additional tickets, earlier in the month, but the remaining opportunities are all within the wristband entry. The festival is independent and uses no public funding. Costs are covered by local donations, art sales and in-kind sponsors: G F Smith, ArtsPromoters.com, East Street Arts, Princes Quay, Hammonds Associates, FujiFilm, Jessops, Scribes and Picture Frames & Art. HIP Juniors visit the Changing Face Exhibition. Young people from the HIP Juniors (Hull Independent Photography Gallery) visited the Changing Face Exhibition for a junior masterclass with Lead artist Quentin Budworth on Saturday 12 children and four adults attended this special event. The youngsters were encouraged to look at the portraits in the exhibition and give feedback to the group on their favourite image. Then they engaged in some judicious photobombing and a short session on reading an exhibition and how to link images in sequences. The session finished with the youngsters leaving feedback in the comments book. What are the disadvantages of businesses getting involved in supporting the arts? One well-founded worry is that businesses will play it safe and only want to support non-controversial subject matter. After all, no business wants to be associated with frightening, disgusting or confusing their customers. Also, those deciding on where to put their sponsorship are not necessarily art experts. For these reasons, there is an expectation that they will play it safe, putting money into the classics, the middlebrow, the established and commercial. In a corporate arts world, would it all be Swan Lake and Van Gogh exhibitions? Earlier this year, there was much debate over another aspect of business sponsorship of the arts. After a three-year legal battle, the Tate was obliged to release figures showing that over a 17-year period they had received £3.8 million in donations from the oil company, BP. Some criticism dwelt on the protracted attempts to keep the financial details away from prying eyes but the issue for most was the way the Tate appeared to have sold itself to provide an air of respectability to a controversial company. This concern was underlined by the fact that the Tate had signed up to the 10:10 campaign, which promotes practical action to address climate change. It’s understandable that arts organisations and advocates would be concerned about this case. The last thing an arts organisation wants is the wrong kind of publicity, which is what you might get from the wrong kind of sponsorship. Selling your soul for the business penny is not what most arts organisations set out do. The Tate, however, had its defenders such as cultural sociologist and writer, Tiffany Jenkins, who said “I have no problem with oil companies, we need them. I’m suspicious of this notion that the arts needs to be ethically funded. These are difficult times for the arts and they need the money.” More pragmatic arts advocates might agree with her. Or they might at least be tempted to set aside some of their concerns because there are some serious advantages to taking the corporate penny over state and voluntary funding. There’s a lot less paperwork for a start. And there is the possibility that you are getting your support from a genuine and passionate lover of your artistic offer, rather than a faceless adjudicator waiting for you to convince them that you are good at completing funding applications . And they are (probably) not influenced by the same government policy either. A few years ago it seemed like no artistic endeavour would be considered without some sort of well-defined social purpose. These days it seems as if art funding has been stripped of its social benefit. Surely the social context of any art should be a result of the art itself and not some government white paper. The case of the Tate perhaps provides a cautionary tale but there are many rather more encouraging stories to be told. For example, the National Portrait Gallery’s Photographic Portrait Prize has been sponsored by law firm, Taylor Wessing, since 2008. Closer to home, Claire Suggitt, Centre Manager of Princes Quay Shopping Centre, offers a positive perspective on her experience: “Princes Quay is the only shopping centre in Hull to have three units facilitating arts and culture. It’s played a huge role in attracting a regular, captive audience, which in turn has increased footfall into the centre. We have been able to reach an alternative audience and receive on-going coverage for the fantastic exhibitions and activities that take place within those units, a great return of investment for all retailers, as everyone benefits. Arts events at the Quay embrace partnerships with both the arts and cultural side of the centre and they certainly benefit from an overall joint approach.” This positive partnership has opened the door to other businesses to engage with the curators. Resulting in further sponsored exhibitions being produced and one whole gallery in the Quay being sponsored long term by Hull paper Company G. F. Smith. Possibly the most unusual example of arts sponsorship is the story of how the CIA secretly promoted American Abstract Expressionist painting by using it as a propaganda weapon in the Cold War against the Soviet Union. It’s not that they particularly appreciated the work of Jackson Pollock, Mark Rothko and Willem de Kooning. In fact, the majority of Americans in the 50s and 60s disliked modern art. President Truman famously said of it: “If that’s art, then I’m a Hottentot.” The CIA used it to highlight the more rigid conformity imposed on Soviet artists and as way of demonstrating the intellectual freedom and cultural power of the USA. This episode reminds us that sponsorship isn’t the same thing as philanthropy. A Sponsor will, of course, have their own motives, their own values and their own agenda. So motives, values and agendas on either side of a proposed sponsorship should always be as open and transparent as possible. Then arts organisations and business sponsors will be better placed to decide whether a partnership is likely to be productive and in the best case scenario, truly symbiotic. Winning the City of Culture for 2017 may well be the most significant thing to happen to Hull this decade, which is saying something after the scare Hull City gave Arsenal in the 2014 FA cup final. 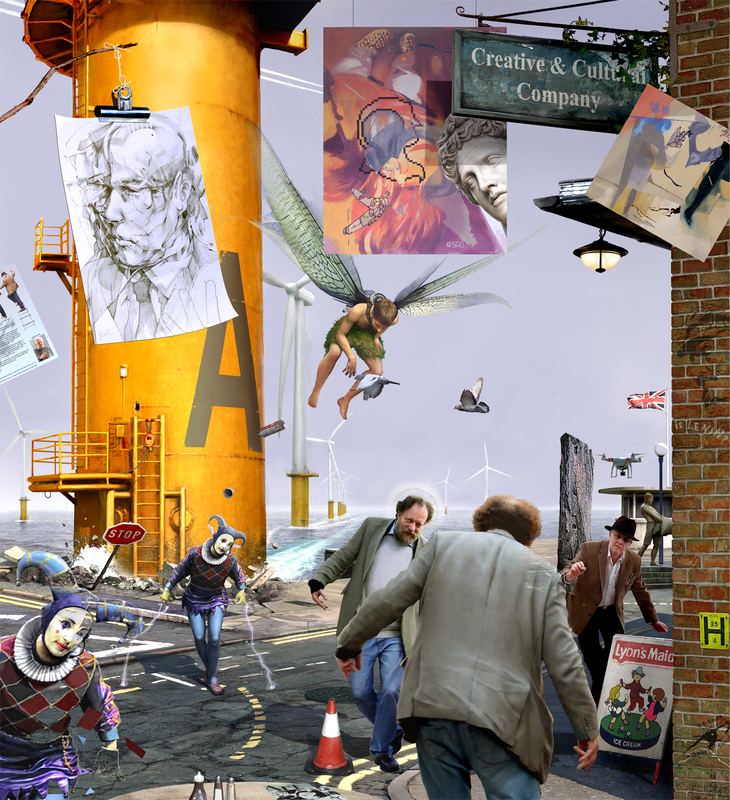 For one year, Hull will be the UK centre for arts and culture, giving the city a much greater international profile. People will literally fly halfway around the world just to visit Hull. The legacy of 2017 will hopefully be a vibrant cultural sector, which may in turn, help change the image of the city for the better and attract more investment and build greater prosperity. For some, this may all seem a bit too good to be true and sure enough, there are rumblings of concern in some quarters. What seems to be exercising the minds of the local arts community and many local citizens is the worry that the City of Culture will simply mean loads of outsiders coming in to ‘do’ all the arty stuff while we locals are mere onlookers or members of the audience. This is something we need to think about. Let’s be honest, we didn’t win the City of Culture bid because Phil Redmond and the other judges thought that Hull already had a world beating local arts scene. If this was the case then we wouldn’t need City of Culture status. All we’d need is a half decent promotional budget and maybe a five star hotel and then the glitterati would no doubt come flooding in, or at least visit now and again. Secondly, outside of London, I would suggest that no English city has a world class arts scene capable of supporting a year-long City of Culture programme without the support of ‘outsiders’. The City of Culture isn’t about putting on a local talent show. It is about holding the biggest and best arty-party of 2017 and to do that we are going to need outside help and it needs to be world class. So we shouldn’t be overly concerned about those big ticket events being run by and featuring professionals from outside Hull. It isn’t an admission of defeat and we aren’t being robbed of local jobs. Here’s a way of measuring where we stand. If you are an organiser do you have Sir Peter Bazalgette’s personal phone number? If you are an artist does he have yours? And if you’re wondering who the hell this guy is, well that’s another matter. And yet, it’s still our party. Whoever wrote the bid and however well it was done, the people of Hull won it. Don’t take my word for it, Phil Redmond made that perfectly clear when the result was announced. We may need the City of Culture, but we also REALLY want it. And when the well-earned hangover has worn off in January 2018 Hull’s cultural scene needs to be bigger and better, and we need to have great memories, of what we saw and heard but also what we did and what we can continue to do in culture, the arts and beyond. Hosting City of Culture isn’t in itself enough to create a positive and sustainable legacy. Thankfully no-one has come out with the old adage that a rising tide raises all boats, at least not yet. If they do here’s an answer – that’s great as long as you’ve got a boat. In order to develop and sustain a vibrant creative sector well beyond 2017, we need structured, well supported creative paths and artistic opportunities. And we need to make use of those opportunities to create great art and put on better events. We need to be doing these things up to and during 2017 if we are going to do them after. We should, of course, be realistic and we need to be fair, both to ourselves and to the City of Culture team. None of us expect to be asked to step in at the last minute and programme the opening ceremony, but we also shouldn’t be satisfied with standing by the side of the road hoping to sell a few beads to the cultured tourists. Derry-Londonderry (so good they named it twice) was the last UK City of Culture in 2013, a city previously best known to many for its role in ‘the Troubles’ and ‘Bloody Sunday’. 2013 undoubtedly helped to give the city a new image but it’s legacy was perhaps best summed up in the words of actress and singer Bronagh Gallagher; “Think of Derry as a child with a new voice. 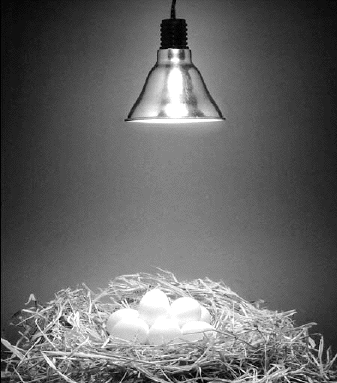 A place of thousands of nests with wee eggs about to hatch.” To make the most of our year in the spotlight we need to give serious consideration to the process of incubation. I am writing a new column with support from The Creative & Cultural Company Team in Hull. The European City of Culture this year is the Belgian town of Mons. If this has passed you by, you’re not alone. As our cultural neighbours we should follow their progress over the next year, share in their triumphs and hopefully learn from their mistakes. All of which set me thinking about an old party game: name 10 famous Belgians (we didn’t have an Xbox). This game now seems particularly unfair as they produced a fine crop of artists and continue to do so. And do you know who invented the saxophone? Then there’s Adolphe Sax, the inventor of the saxophone. Which also set me thinking: what do we (Hull) bring to the year-long party in 2017? Could you and I name 10 Hull citizens with a national or international reputation in the arts? 1. 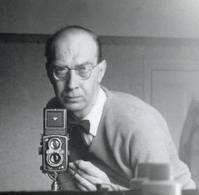 Philip Larkin. One of Britain’s favourite poets, a literary A-lister. He unwittingly and perhaps unwillingly caused a cabal of 1st class poets to live and work in Hull. Many people rightly point out that Philip Larkin wasn’t born in Hull, but he lived here, worked here, wrote in and about the city; and put Hull on the international literary map. In true local style he was also the second Hull Poet to turn down the post of Poet Laureate. 2. Alan Plater. One of the telly and radio script writers from the golden age of TV drama. Another ‘famous son’ who wasn’t born in the city. He moved here from Jarrow when he was 3 years old but he grew up and went to school in the city. He gave Hull one of its few starring roles, in The Land of Green Ginger, a one off drama featured on A Play For Today. He was also called Alan (Good Man!). 3. Mick Ronson is arguably Hull’s greatest musical export; his appearance with Bowie on Top Of The Pops was seminal. He was a key player in some of Rock’s finest moments. 4. Throbbing Gristle. Part performance art, part “pop” music, the band and its members were in turns ignored and demonized by much of the press for their dark and challenging sound and subject matter. Band members moved on to projects from the comparatively poppy Psychic TV to a less audience friendly Dadaist performance art. 5. Sean McAllister. A Hull factory worker turned film maker and responsible for some of the most emotionally powerful documentaries of recent times, check out The Liberace of Baghdad. 6. Hull has turned out so many well know actors, it’s hard to choose just one, but I’m going with Sir Tom Courtenay. Dr Zhivago, Billy Liar, The Dresser, need I say more. 7. J Arthur Rank, a flour magnate turned movie mogul, as you do. The result was the Rank Organisation, Pinewood Studios and classic films such as Kind Hearts and Coronets & Whisky Galore. He gave the creative freedom to some of Britain’s best film makers including Michael Powell & Emeric Pressburger & David Lean. Legend! 8. Barrie Rutter. A TV and stage actor turned director, he set up the Northern Broadsides Theatre Company, which proudly gives a northern voice to Shakespeare. 9. Jean Rook. 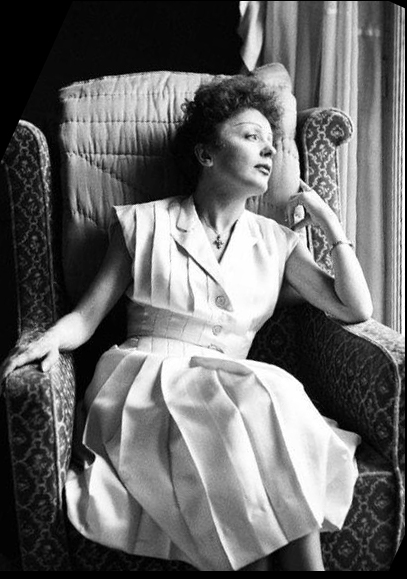 Self-proclaimed First Lady of Fleet Street, she was the first female editor of a national Sunday paper and a long-standing opinion columnist at the Daily Express and yes Jean was from ‘Ull. 10. Last but not least, Sir Alfred Gelder. A nationally renowned Architect of the Victorian period, he came to Hull all the way from North Cave to make his fortune. He was responsible for making Hull one of the finest cities during his lifetime. So that’s the first 10 out of my head. How did you do? Who said Maureen Lipman first…? And you can’t count Ben Watt & Tracey Thorn as separate ones, you just get 1 for Everything but the Girl. You could have had The Housemartins or Dame Jenni Murray as she went to Hull Uni, as did our City of Culture champion, Rosie Millard, along with actor and president of Equity, Malcolm Sinclair, award winning film director, Anthony Minghella (Cold Mountain, Truly, Madly, Deeply, The Talented Mr Ripley, The English Patient), and poet Roger McGough. John Godber worked in Hull Uni, as did former poet laureate, Sir Andrew Motion, so you can have them too. And what about Norman Cook, Roland Gift, The Watersons, actors John Alderton and Ian Carmichael, 50s pop star, David Whitfield, League of Gentlemen actor/writer, Reece Shearsmith, stand up comedian, Isy Suttie, 17th century poet, Andrew Marvell and…I could go on and maybe we should. In fact, let’s play this game more often and start telling more people who and what Hull can bring to the party in 2017.